The journey from Darjeeling to Yuksom (the small village in Sikkim that serves as the trailhead for the trek I was to do) was a three-jeep endeavor. Jeep #1 was filled with eleven people, including one on the roof and the Sikkimese man to my right who insisted on having a conversation despite that he spoke no English and I no Nepali. Because the "road" we were traveling on was under "construction", we had to get out and carry our bags about 200 meters to Jeep #2, picking up three more people - including two children of about ten years old - to throw on the roof. Jeep 2 took us to a transit hub of a city called Jorethang, and after a two and a half hour layover, we picked up Jeep #3 to carry us the rest of the way to Yuksom. Riding along the Sikkim roads is a bit of an adventure in itself. Your body is continually contracting into a smaller and smaller ball so that the additional passengers who join the ride en route can slide in. Only jeeps can handle the pot-holed, rocky, winding roads that connect one village to another, and each time I climb into one of the vehicles, I can only think that the religious incantation (whether hindu, buddhist or general praise to God) that inevitably adorns the windshield will offer little comfort when we go careening off the side of the mountain thanks to the freewheeling driver. So the jeep rides were an experience and along the way offered not only a view of the beautiful mountains, valleys, villages and elaborate monasteries of Sikkim, but occassionally also a glimpse into Sikkimese life. For example, Jeep #3 came to an abrupt stop just outside of a village so that one of the passengers could pick up some fish from a hut on the side of the road; fish that would of course otherwise be unavailable in his village, still over two hours away. By the way, if you're wondering how a crowded, winding and bumpy jeep ride can be made better, it is most definitely by having three and a half dead fish stored underneath your seat. Anyway, in the end all the traveling fun was worth it. Sikkim is a rather small part of India that is bordered by Nepal, Tibet and Bhutan. In just about every aspect it is more similar to these Himalayan kingdoms than it is to the rest of India. I absolutely adore the Sikkimese, who are, without exception, the warmest, friendliest, most trustworthy and helpful people (the man sitting next to me in the cyber cafe reading this post over my shoulder notwithstanding (hey guy!)). The food, oh the food! Tibetan, Sikkimese, Indian and Chinese like you'll never get anywhere else. Besides my affinity for taking rides that leave me right on the verge of motion sickness, I came to Sikkim to do a little Himalayan hiking. The walking route was a 5 day trek from Yuksom up to Dzongri. The company was Andrea (27), a Swiss woman with whom I made the trip from Darjeeling, Paul (40something), an Indian man living in the U.A.E with a head full of interesting facts and strong opinions, and Mark and Katie (27 both), a fabulous couple from the U.K. Our fearless leader was Sanjay (19), a Sikkimese youth with two wives and a stated goal of becoming the youngest Sikkimese to summit Everest. At about 42 miles total (including our side treks), with a cumulative vertical rise and fall of approximately 5180 meters (16,995 feet), the trek was quite strenuous, massively more difficult than the Inca Trail in Peru, my only prior trekking experience. Our highpoint was 4350 meters (14,270 feet), which is pretty high (by comparison, Denver is at 1620 meters). I was fine for our two nights at 4050 meters, but the climb up the last 300 gave me a pretty good altitude headache, which is somewhat disconcerting since its only about 85% of the altitude that I plan on hitting during my Nepal trek. Not only was the hike a feat of physical exertion, but our accommodations were rustic, to put it mildly. At Dzongri my four trekking companions and I spent two nights sleeping shoulder to shoulder in sleeping bags and as much clothing as possible to battle the below freezing temperatures. Our beds were thin, overused mats, laid on the wooden floor of a glorified hut. 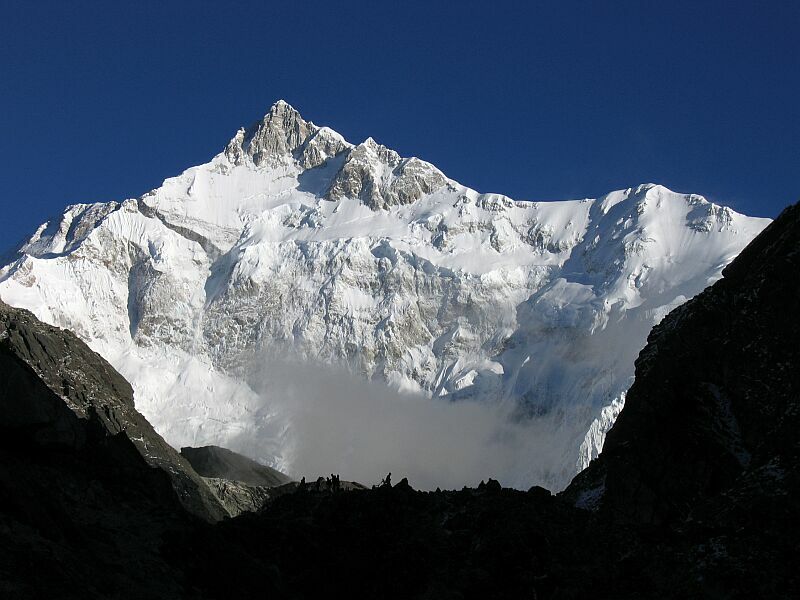 But despite the hardships, the trek was fabulous, taking us through a multitude of terrains and providing great views of Himalayan peaks, including a close-up of Kangchenjunga, the third highest peak in the world (see picture below (not mine). This blog is going multimedia!). I fell in love with Yuksom, the dirt road village where all the trekkers, guides and porters begin and end their journey into the mountains. Yuksom proper is a dirt road lined with just a few hotels and two dusty, outdoor restaurant stands. Each restaurant has only one large circular table where a rotating cast of foreigners eat, drink and exchange travel and trekking stories. Because of the remoteness of Yuksom and the intensity of the trek originating from its outer boundaries, only the most hardened trekkers and travelers make it to these tables, and over many a cup of chai I met some fascinating people, listened to stories that crossed the line from adventurous to crazy, and received some valuable travel advice. I was pained to leave Yuksom and my trekking group - particularly Mark and Katie with whom I had grown especially close - but it was time to move on to Pelling, a slightly larger Sikkimese town, where I now sit typing. Today I enjoyed a 3 kilometer walk to Pemayangtse, an ornate monastery down the hill from Pelling. I also had the privilege of serenading a few locals on a rusty 5-stringed guitar that was sitting in one of the many hotel/restaurant/vantage points that line the Pelling road. I'm not sure where the kink in the supply line can be found, but Sikkim is suffering a serious shortage of guitar strings, as this instrument was the closest to completion of the five or so I've seen thus far. To the Sikkimese authorities: forget about the crumbling infrastructure (no problem, I am sure), get on the guitar string famine, pronto! I think founding a non-profit to supply guitar strings to Sikkum is in order when you return home! What an incredible and exciting journey! Keep up the safe travels and great writing!! No- Sounds like you had a great time! I know mom would have loved to be with you in those jeeps, especially with the dead fish too! Have a great time and be safe! Aaron, Ellen and Shayna! My uncle, your grandfather, posted your blog to Facebook, and I'm so glad he did. What a wonderful description of your journey, including the hardships and the heights (double entendre intended). 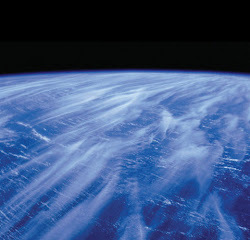 I love the photo and feel in awe of our world when I view it. Wish I had done something like that when I was younger. Namaste, Cousin Janet from California.